Don't miss out! 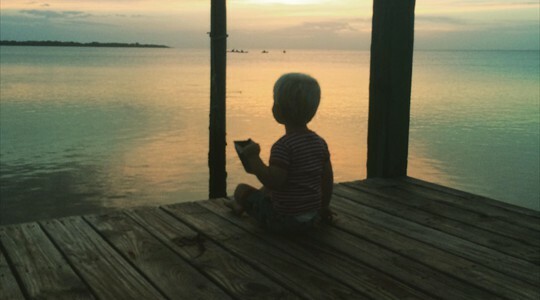 For the most fun on the Bay - Book your trip today! If you don't take them...They will never know how much fun it can be. 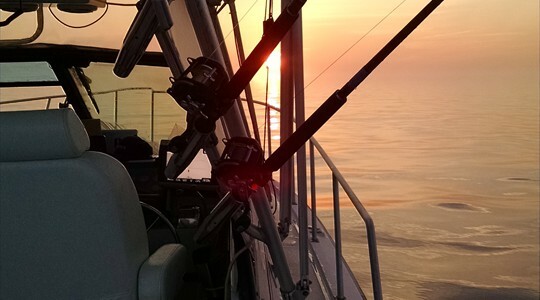 Welcome to Chesapeake Adventures Sportfishing aboard the ”Reel Time”. 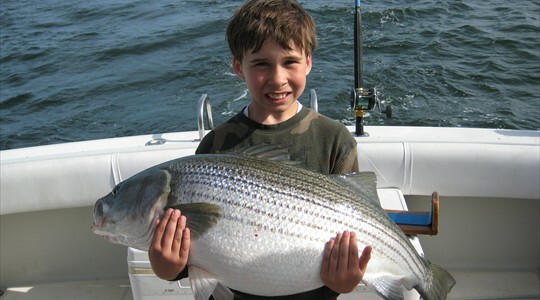 Fishing from Breezy Point MD a 30 minute drive from the Washington DC Beltway. 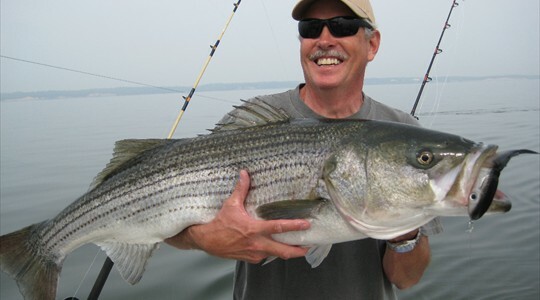 This is one of the finest areas to go Charter Boat fishing around the Maryland Chesapeake bay. 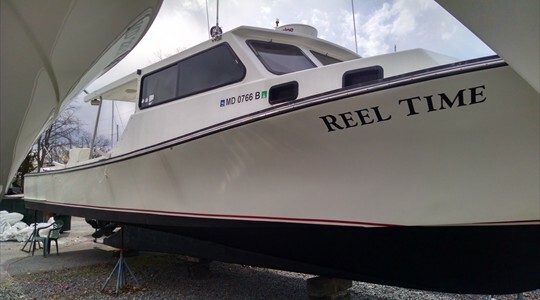 “Reel Time” is a 40’ x 13’ J-Allen charterboat with a clean private restroom, Coast Guard licensed and insured for up to 6 passengers. Twin engines ensure a fast and safe trip to and from the fishing grounds. 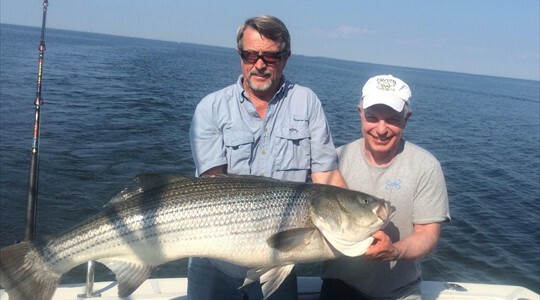 Captain Jim is dedicated to making your Chesapeake adventure a safe and fun experience. We can customize your trip to you and your party. 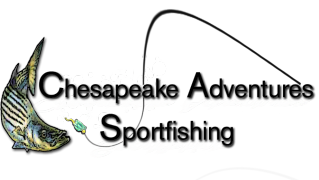 Be it kids, customers, family, friends, novice or expert angler. 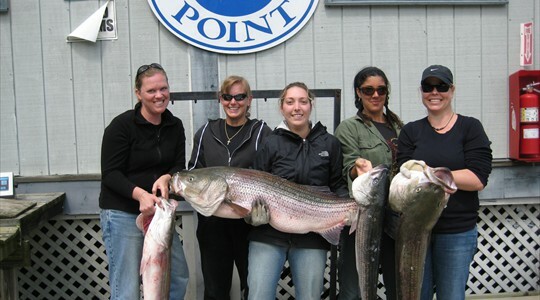 Multiple boat trips available for large groups – have your own tournament! Make $100 deposit checks out to J.Batchelor and this will lock in your date. New Multi-Trip Discount Call Captain Jim for details. Need to pay for your trip via Credit Card? Call Captain Jim to confirm your dates and cost. Please confirm date with Captain Jim before paying! Click PayNow button to submit payment. Balance due upon return to dock.